Here's another gift my husband will be getting this Christmas. 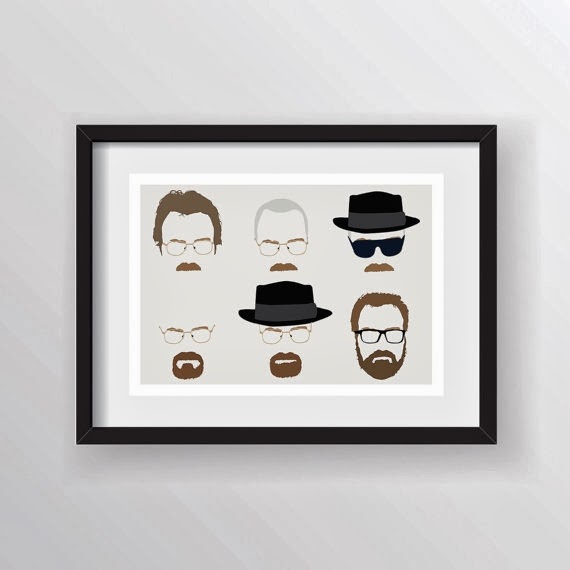 Although his favourite TV show, Breaking Bad, is no more, he can still have a visual remember of his beloved Walter White with this digital art print from Etsy shop Posteritty. Posteritty creators Paul and Rob, out of Matlock, England, make "modern minimalist poster prints" using vector images printed in limited edition runs. 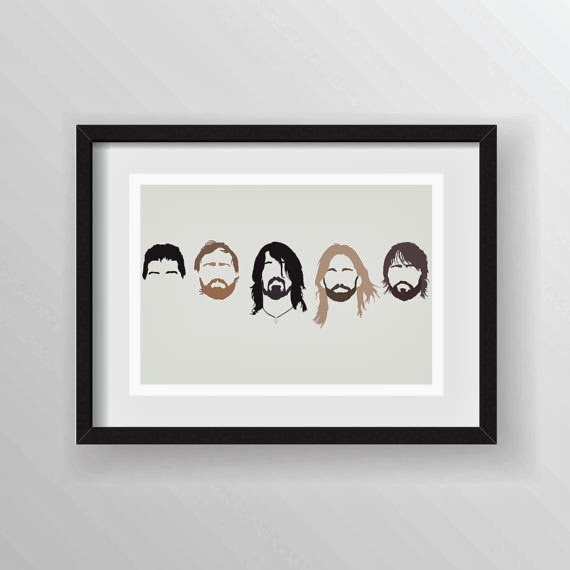 The shop has a whole line of Breaking Bad images, plus many other imaginative prints inspired by movies, TV shows and musicians - like this cool print of the Foo Fighters. There are great Elf and Downton Abbey prints too! You can also order custom designed minimalist prints too. Ooh that Doctor Who one will be a perfect stocking stuffer!! Great find! This is amazing! I just ordered the Depeche Mode one for my hubby. It is his favourite band and this is so unique he will love it. Thanks for the great idea. Call it his gift and then feel free to enjoy it...haha.